The weather outside is frightful? No worries. 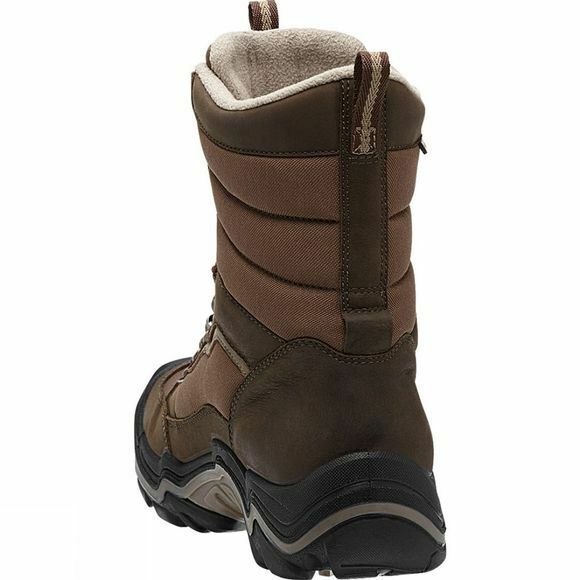 Lace up your Durand Polar winter boots and get on out there. Cold? The 400-gram Keen.Wam insulation, woolly Thermal Heat Shield footbed and faux fur collar keep things toasty. Snowy icy slush puddles? 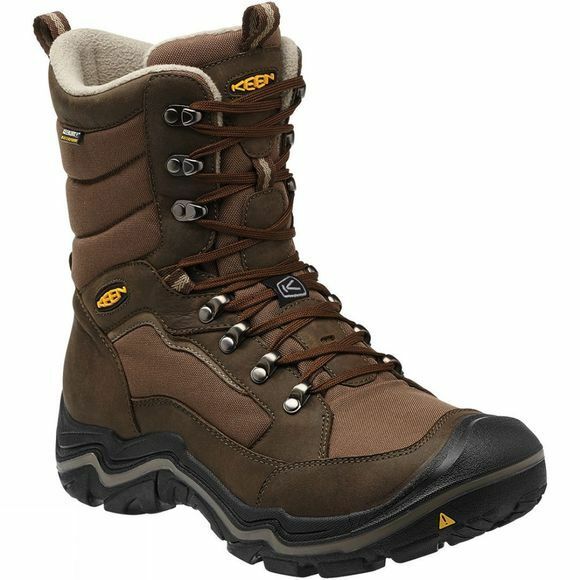 This boot’s Keen.Dry membrane is waterproof and breathable, and the dual compound snow and ice grip rubber sole keeps you on your feet. European Made with material from around the world.